मैं के माध्यम से pfSense स्थापित करने के लिए की जरूरत यूएसबी, so effect­ively by flash drive. This was made pos­sible by the use of a blank pen drive, soft­ware called rufus, and the ‘mem­stick’ down­load of pfsense. I use BT infin­ity and get­ting the right set­tings proved trick­i­er than I had hoped. I had to first con­fig­ure the वान set­tings cor­rectly and after that, set the cor­rect pro­file for the वान inter­face. प्रथम, के लिए जाओ Inter­faces: वान and set the fol­low­ing. परिवर्तनों को सुरक्षित करें, और उसके बाद के लिए जाना Inter­faces: Assign­ment. सेट करें वान inter­face to “PPPOE…” which after sav­ing should show with the phys­ic­al inter­face in brack­ets — in my case it says “PPPOE (em0)". Save the changes again and hope­fully you will get a con­nec­tion. में वान Inter­face set­tings you might want to adjust your MTU set­ting to work optim­ally with BT Infin­ity to avoid frag­men­ted pack­ets and pos­sible pack­et loss. I have writ­ten a ded­ic­ated art­icle इस विषय पर. The set­tings above should be suf­fi­cient to get IPv6 work­ing on your LAN cli­ents — you should also see an IPv6 address for the pfsense LAN inter­face (अर्थात. एक है कि fe80 शुरू नहीं करता है). Try pinging google.com from a ter­min­al win­dow on a LAN cli­ent — if you get a response from the IPv6 address then all is well. You can also check that all i cor­rect using test-ipv6.com. करने के लिए धन्यवाद Dan­neh for the set­tings. For more inform­a­tion I recom­mend this red­dit thread. There is one fur­ther tweak required to make sure IPv6 works fully, you need to allow ICMPv6 pack­ets through the fire­wall. Go to Fire­wall, और फिर नियम. एक नया नियम जोड़े, set the address fam­ily to IPv6, change the pro­tocol to ICMP, leave “any” selec­ted as the sub­types (unless you want to do a lot more read­ing about spe­cif­ic sub­types). सहेजें पर क्लिक करें, and then click “Apply Changes”. I don’t want my lower powered router run­ning at full tilt all the time — but sadly pfsense doens’t seem to cor­rectly sup­port intel enhanced speed step by default at the moment. To get mine work­ing (and a lower cpu tem­per­at­ure to go with it!) मैं पहली बार में powerd सक्षम करने के लिए किया था Sys­tem -> उन्नत -> Mis­cel­laneous -> powerd सक्षम करें. If you want to enable the low­est fre­quen­cies (इन हालांकि ज्यादा बिजली बचाने नहीं है) you will also need to do the fol­low­ing changes: के लिए जाओ Dia­gnostics, फ़ाइल संपादित करें. फिर फ़ाइल पथ दर्ज /बूट / device.hints. change the bot­tom 2 से प्रविष्टियां 1 तक 0 (बुलाया hint.acpi_throttle.0.विकलांग तथा hint.p4tcc.0.विकलांग). करने के लिए धन्यवाद SecondEdge तथा dreamslack­er इन सुझावों के लिए. To check this is work­ing you will need to log into the router via SSH के, विकल्प चुनें 8 (खोल) और भाग खड़ा हुआ sysctl dev.cpu. | ग्रेप freq. This took my cpu core tem­per­at­ure from 66C to 57C — not bad for a tiny fan­less sys­tem packed in next to anoth­er PC, मोडम, और एक 8 पोर्ट स्विच. के लिए जाओ fire­wall: नेट and then click the add but­ton. प्रवेश करें आईपी address and port for the des­tin­a­tion and (सबसे अधिक संभावना) the same port for the extern­al port. For more detailed inform­a­tion I recom­mend splurben द्वारा एक पोस्ट on the pfsense for­ums. All of my PC webbrowsers have adb­locked installed, but the same can’t be said of my android devices as these have to be rooted to install block­ers. So being able to block ads with pfsense is one of the major advant­ages of using it. प्रथम, के लिए जाओ sys­tem: pack­age man­ager और उसके बाद के लिए खोज pfb­lock­erng और इसे स्थापित. You can then con­fig­ure it using Fire­wall: PFB­lock­erNG. मैं तब तक गाइड का इस्तेमाल किया Fred­Merc to con­fig­ure it. A brief sum­mary of the set­tings I’ve used is as fol­lows. के लिए जाओ Fire­wall: PFB­lock­erNG और फिर पर क्लिक करें DNSBL टैब, और फिर पर क्लिक करें DNSBL EasyL­ist tab. Turn on the top EasyL­ist feed and point it to EasyL­ist. Then click the add but­ton, and set the second EasyL­ist feed to EasyP­ri­vacy and turn that on too. List action should be “unbound” and I set the update fre­quency to 1 दिन. फिर सहेजें क्लिक करें. तो जाना DNSBL टैब और विकल्प को सक्षम DNSBL सक्षम करें. अंत में करने के लिए जाना Gen­er­al टैब और enable pfB­lock­erNG. I decided to set up a trans­par­ent squid proxy as much of the brows­ing that we do hits the same sites repeatedly on dif­fer­ent devices, I don’t expect it to make a huge dif­fer­ence, but I can’t see any good reas­ons not to. Use sys­tem: pack­age man­ager व्यंग्य स्थापित करने के लिए. फिर जाएं सेवाएं: squid proxy serv­er to con­fig­ure it. This is also needed for Squid­Guard if you want to use it, जैसाकि मैं करता हूं. I have young chil­dren in the house and want to block unsuit­able con­tent. This can be achieved with the Squid­Guard pack­age and Shalla’s Black­lists. Install squid­guard from sys­tem: pack­age man­ager. फिर जाएं सेवाएं: squid­guard proxy fil­ter. पर जाएं black­list टैब, पता दर्ज करें http://www.shallalist.de/Downloads/shallalist.tar.gz और क्लिक करें down­load. Then use the Com­mon ACL tab, click on the plus but­ton and select the cat­egor­ies you wish to block. It is also necesary to set up a dummy tar­get cat­egory due to a bug. 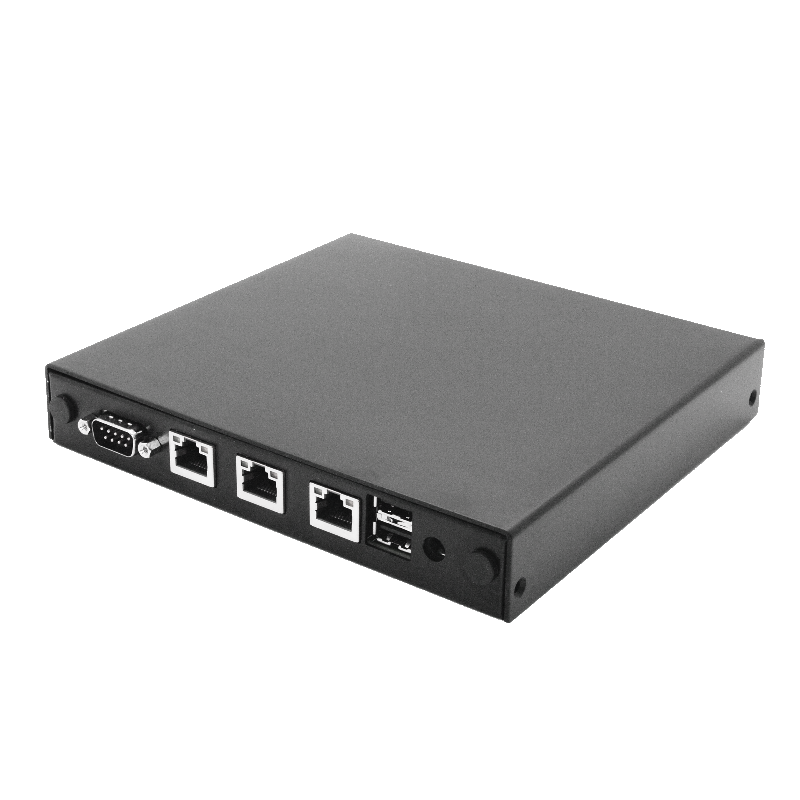 For more inform­a­tion see this post on pfsense for­um. Don’t for­get to set the default for all of the lists to अनुमति देते हैं at the very bot­tom of the lists. Thanks to net­work­inggeek on the pfsense for­ums इस टिप के लिए. Lastly — it may be worth edit­ing a couple of advanced options so that blocked requests are only cached for a short peri­od of time — that way if you decide to unblock some sites you wont have to clear the browser cache to access those sites — there is more inform­a­tion on the pfsense for­um. I had to whitel­ist the cat­egory [blk_BL_sex_lingerie] so that my wife could buy under­wear as the fil­ter was block­ing the under­wear sec­tions on main­stream retail­ers (उदा.. Deben­hams). के लिए जाओ Ser­vices: UPnP & नेट-पीएमपी, शीर्ष टिकटिक 2 बक्से (सक्षम करें UPnP & नेट-पीएमपी तथा अनुमति दें UPnP Port Map­ping), और सहेजें क्लिक करें.